Checked the VMKernels on the dvSwitch and there was only one management VMKernel. vMotion VMKernel was disappeared. First attempt was to add a vMotion VMKernel to dvSwitch. However, got an error message saying the VMKernel already exists. This was telling me that somehow, the vMotion VMKernel is hidden. Next step performed was to use esxcli to identify the issue. Running esxcli network ip interface list, gave me an interesting output. vmk1 for vMotion was disabled. 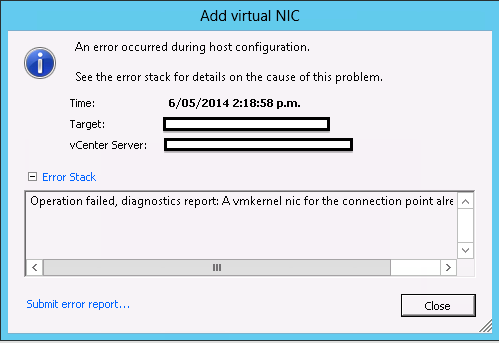 Enabling the VMKernel didn’t work as the ESXi thought vMotion VMKernel was busy. 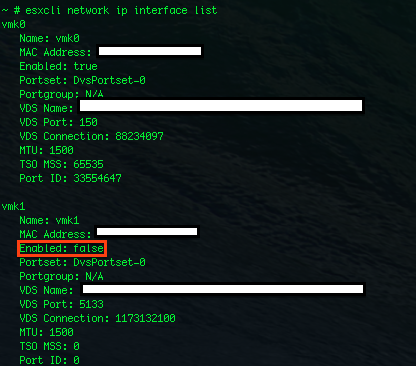 So, the next configuration I tried was to delete the VMKernel, esxcli network ip interface remove -i vmk1. Surprisingly, it didn’t cause any problems! Listed VMKerenls and confirmed that vMotion VMKernel was removed. Added a new vMotion VMKernel and DRS was able to execute vMotion virtual machines successfully. Unfortunately, I wasn’t able to find the root cause of this problem. In future if I face this issue again, I will update this post.